When purchasing a new Vehicle it is important to know the in’s and out’s in regards to your Roadside Assistance / Approved Body and Paint Shops / Service Plan. In the event of an accident have the repairs done by an approved Honda body and paint shop to prevent the warranty becoming null and void. 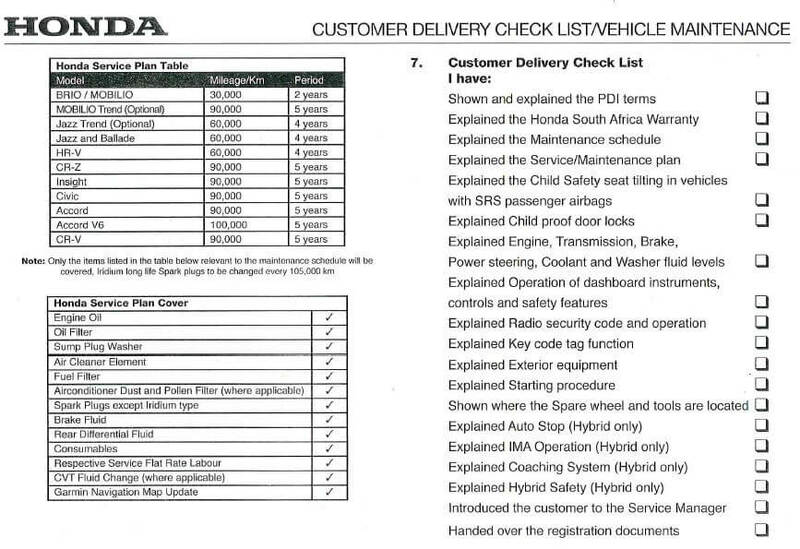 Service Plan a) Honda Service plan cover – All vehicles come with service plans and are covered for a period as specified in the image below, whichever comes first.  b) Honda Service Plan Conditions – The service plan will cover service parts and labor for all services under “normal condition” only, “Severe condition” servicing cost will be borne by the customer. 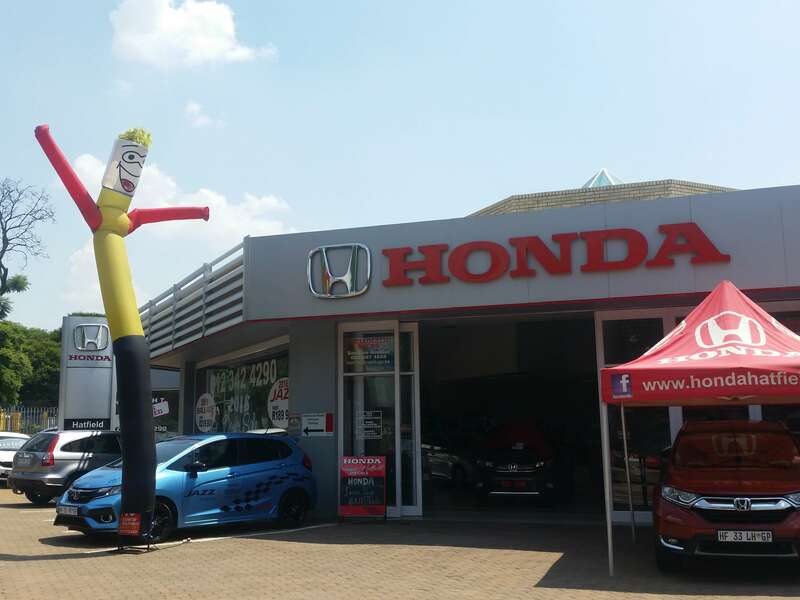 Honda SA will only authorize services carried out by an authorized Honda Dealer. All vehicles must be serviced every 15 000km or 12 months whichever comes first, starting from the date of first registration. All further service must adhere to the same service intervals. The service plan makes an allowance of 1,500 km before or after or 1 month before or after the scheduled service. Ensure service schedules are adhered to as this can affect the vehicles warranty coverage. All repairs done by an approved Honda body and paint shop are as per Honda standards and carry a warranty to ensure customer satisfaction.  Contact one of our Sales Executives for any further information on our Service and Warranty plans.